Rick Rule is Chairman/Founder of Sprott Global Resource Investments Ltd., a major investor and financier of quality mining stocks. Rule is a standing-room-only speaker at resource investor conferences across North America. He spoke to Resource World from his office in Carlsbad, California. RESOURCE WORLD: With the prices of gold and silver increasing and select precious metal stocks doing well, a new lithium staking rush under way, plus the Venture Exchange up about 200 points, do you think we are finally in a recovery for the junior mining sector? 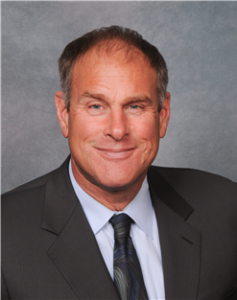 RICK RULE: Yes; however, (from prior recoveries) the recovery will not be straight up. This is a market that will need to digest some of its gains. One risk that your readers have, given the disappointments they have suffered over the past five years, is that they may mistake normal bull market consolidation as having been a false start of a bull market and mistakenly get themselves shaken out of owning a stock. We are now past the bottom, particularly in precious metals. Yes, we have had the worst, but just remember, the future is not going to be straight up. There will be higher highs and higher lows but there will still be volatility which is a hallmark of this market. RW: Are the fundamentals in place for precious metal prices to keep rising? If the answer is yes, what are they? RR: Absolutely. Printing money on a global basis is the fundamental reason for precious metals to rise in price. I have said for years that the most important determinant of the gold price, on a global basis, not just in the US, is the interplay between gold and the US dollar, particularly the US 10-year treasury. The US treasury has been in a 35-year bull market; the yield having fallen from 15% to 1.8%. Could the yield fall a little more? Sure. But the truth is that the bull market in the 10-year treasury is closer to the end than the beginning. And so the bull market in gold is closer to the beginning than the end. You can’t charge a less than zero interest rate on gold; it doesn’t work that way. So the competition offered by sovereign bonds to gold – the other save haven investment – is basically gone from a practical point of view for people who will hold gold or bonds. RW: There are now well over 40 companies jumping into the lithium space. Is this also a sign that a recovery is underway or the result of pent-up demand to buy electric cars that use lots of lithium? 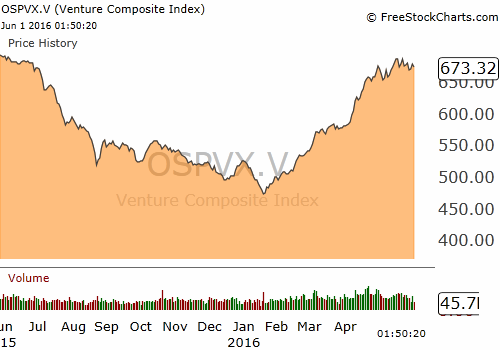 RR: I think that this is a fondness of people who play the Canadian venture market for a good story. There is a near-term shortage of lithium but there are lots of lithium supplies on a global basis. It amuses me that the Canadian dealer network talks about impending shortages and the big four lithium producers talk about an oversupply of reserves and resources. This is the modern-day variant of a staking rush where people get wrapped up in the story irrespective of the facts behind it. RW: With the current interest in buying electric cars, plus more wind turbines being built and growing Chinese infrastructure, does this mean the fundamentals are falling into place for rising copper prices and copper company share values? RR: Yes and yes. However, the rise in copper prices won’t be due to an increase in demand but rather to the destruction of supply. We are living on copper deposits that were discovered and developed 40 years ago. They are long in the tooth. US $2.50 per pound copper prices are not a sufficient price inducement to build new copper mines to generate new supply to replace the mines that are coming off production. It will be supply destruction over the next two years that will fuel the copper boom not demand creation. RW: I know you had hopes for a uranium recovery but this seems to be delayed. What are your thoughts on uranium and uranium stocks? RR: I was wrong on my timing. Uranium required some global recovery and we have not seen that. The consequence of that is baseline energy demand has been very low. That lower baseline energy demand as well as marginal increases in supplies has led to lower global oil and gas prices and more competitive pressure on the uranium space. The same factors that drive copper prices will ultimately drive uranium. From my point of view, it will not be from demand creation that drives the uranium market in the next five years. Like copper, it will be supply destruction. We are actually seeing decent interest in uranium stocks – two in particular – NexGen Energy and Fission Uranium – but the excitement that we are seeing there is more of a discovery excitement than a general uranium excitement. If you had the same in-situ values of copper or gold that you have with NexGen or Fission, they would still be commanding attention. Those are discovery stocks, not uranium stocks. A uranium recovery will take place the same way a copper recovery will, as a consequence of supply destruction whereby that sector’s productive capability is diminished so that when the price begins to rise, the producers won’t be able to increase supply to meet market demand. That’s why you get spikes like we saw at the beginning of the last decade when uranium prices went from US $8 to US $130 per pound. I am not predicting that kind of price spike; I am just suspecting that the price of uranium ultimately will substantially outstrip the total production costs, which exceed US $60, including cost of capital on a global basis. RW: Instead of the overpowering negative investor sentiment we have been experiencing in mining stocks, can good mining stocks now be judged on their fundamentals? RR: I think they have to be judged on their fundamentals. My suspicion is that in the next two or three years, at least for the precious metals miners, that management’s memories of their mistakes they made in the last cycle will keep them from doing stupid things with investor funds. I think you will see less ill-conceived acquisitions and less marginal projects put into production. I hope that the increase we see in gold prices and margins and the decreases we see in the cost of capital will mean that for the next two or three years investors will be sheltered from stupid management decisions that punished them so severely in the last bull market cycle. I see a real virtuous cycle right now where rising commodity prices and margins are not wasted by dumb management decisions. RW: What would be a good current investing strategy for the average mining stock investor? RR: I don’t know if there is an average mining stock investor. I think that people must remember the fundamentals. If you believe that the gold price will go up, the first thing you do is to buy gold, not gold mining stocks. You can either buy the physical form or, if you want a lower transaction cost, you can buy it in certificated form. We, of course, prefer the Sprott Physical Gold Trust. The next thing to do is buy shares of some of the senior producers – the best of the best. Do your own due diligence. Of course, if you need help, call Sprott. Increasing gold prices will benefit, in an economic sense, the senior produces best because they are the ones that will enjoy the margin expansion. When you have taken care of investing, then you can begin to speculate. Speculation is where the big money is made; however, that is where the big risks are. In my view, the people who are your average, if you will, gold speculators, need to develop a list of stocks they have studied correctly. I like to tell people that they should own as many stocks that they are willing to spend hour a month per stock monitoring them. Know your companies and outpace your competition and you will do very well in this bull market. RW: ETFs are an interesting way to invest. What does the Sprott Gold Miners ETF hold? RR: The Sprott Gold Miners ETF is a factors-based rather than a market cap-based ETF. We took the point of view that mere size was not the right way to look at gold mining companies because too often the very large companies were having trouble maintaining their reserves and resources. If you believe that the gold price will rise over three or four years, you don’t want to be stuck in companies whose gold production is declining. So, rather than looking at size, we look at companies that have increasing revenues, good margins and have good cash flow to debt service. We also look at companies that historically produce good news compared to the gold price. We are over-weighted in high quality names such as Goldcorp, Randgold and Franco-Nevada. In other words, high quality companies with high margins and growing revenues. We are not buying size – we are buying performance. One Response to "An Interview with Rick Rule on the Mining Stock Recovery"
When do you anticipate a recovery in uranium?